People have been using Earthen Roofs for centuries, and they have played a vital role in our ability to survive in harsh conditions. From the Highlands of Scotland to our very own Cockspur Island, green roofs not only have the ability to insulate our living spaces, but they also have the ability to clean water. 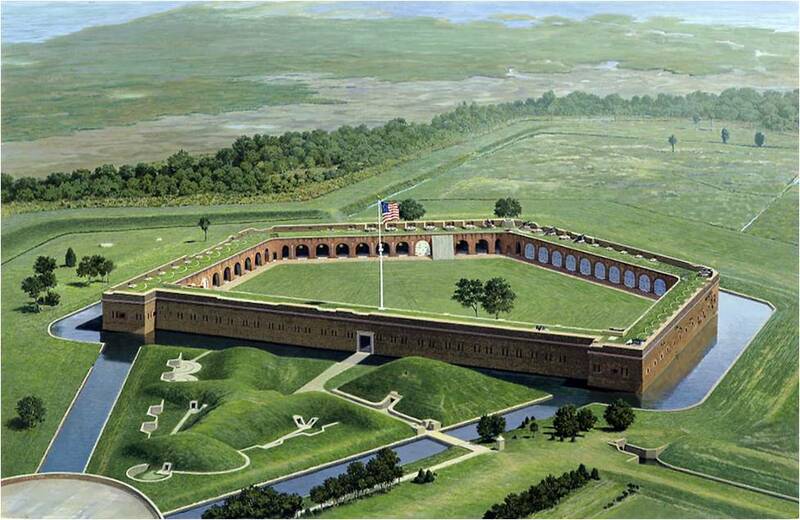 The first green roof to be implemented in Savannah, GA is located on a massive structure known as Fort Pulaski. This Fort, designed by Robert E. Lee, uses a series of drainage pipes that run through the Earthen Roof to 10 individual cisterns located within the walls of the Fort. The pathway of the water through the “terrepleins” naturally cleaned the water so that the regimen stationed there could access drinking water at any time. Today, green roofs – also referred to as a living roof or roof garden – are vegetated roof assemblies comprised of many layers of components that function to retain water while at the same time promoting positive drainage. Some components are required in any green roof installation, while others are optional depending on how the green roof should perform. For more information regarding green roofs visit: www.greenroofs.com and www.greenroofs.org. Not all design professionals are able to provide the necessary expertise required for designing and implementing a green roofing system. With the rise in new EPA storm water regulations being imposed on municipalities all over the SE region, green roofing is being utilized as one component of Best Management Practices for storm water management. These types of designs are best carried out by an Accredited Green Roof Professional who is knowledgeable in the many factors involved for successful and sustainable roof applications. Call me to schedule a free consultation to determine if a green roof is right for your project. I am ready to assist you with your development challenges, and answer any questions you may have about green roofing!